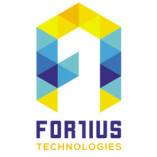 Fortius Technologies is the leading digital marketing agency in Dubai with a technology driven creative team, who are perpetual students, eager to learn about the ever-changing landscape of online marketing. We aim to deliver the quality websites,... Web hosting solutions, Search Engine Optimization (SEO) Services, Pay Per Click Management and Social Media Marketing (SMM) solutions.